Mabel is one lucky puppy. 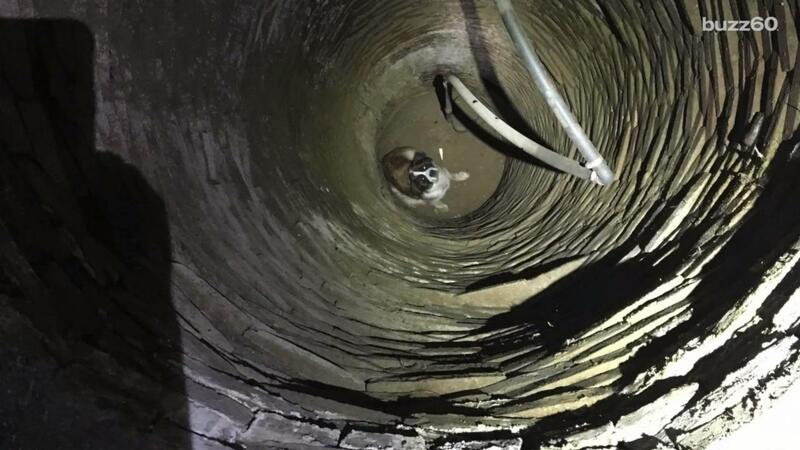 The St. Bernard fell 30 feet down into a well, but she managed to come out of the whole ordeal unscathed. It is unclear how Mabel fell down the well in the first place. She was found at the bottom by her owner, who went out looking for her after she had been missing. Many people came to Mabel's rescue, including the Aberdeen Fire Department and the Hartford County Technical Rescue Team. A photo released by one of the rescuers showed the dog looking terrified as she looked up for help. Mabel was lifted to safety and was taken to the vet to be checked out for any internal injuries. Rescuers say the pooch was happy to be saved, and she even ran around in circles with excitement! It's safe to bet to say her humans were probably doing the same thing.